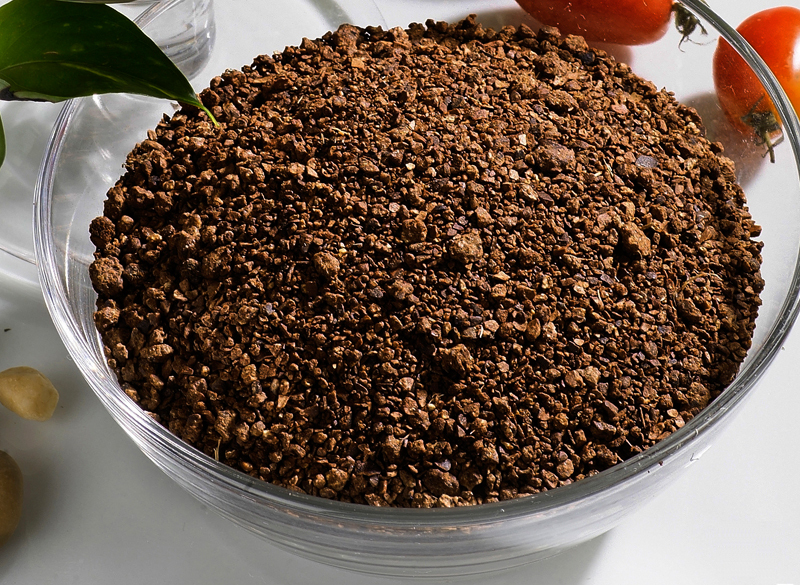 The Tea Seed Meal is the residue of tea seeds (also named camellia seeds) after camellia oil extraction. The key content of tea seed meal meal is the tea saponin which has haemolysis to red blood cell but had no haemolysis to white blood cell such as shrimp and prawn`s blood, with this feature, it is widely used as natural pesticide for pond preparation to kill the snails, earthworm, nematode worms, clam, tadpole, leech, predatory fishes and other pests, etc. It can accelerate the growth of algal according to decompose organic fertilizer. And it can be used as nature organic fertilizer because of high content of protein. With different manufacture processing method and customer preferences, the tea seed after oil extraction are smashed, milled and formed into different types: tea seed meal with straw, tea seed meal without straw, tea seed pellet, tea seed powder, tea seed slice, etc. They are same product but just different in the particle size and appearance to better suit different using purpose. 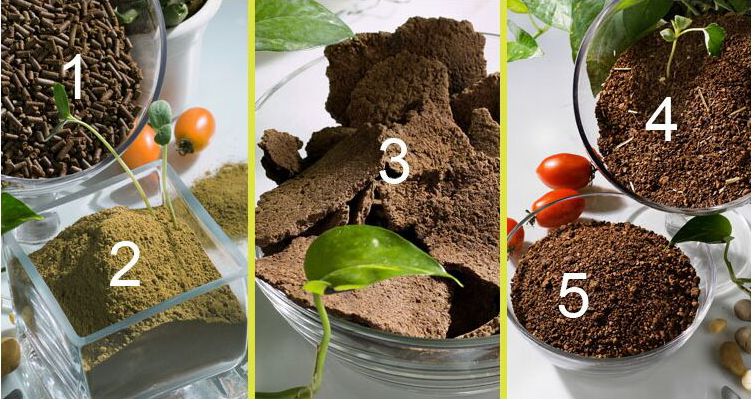 For a guide to choose the product type, the tea seed meal is used more on agriculture as it`s easier for broadcasting, and tea seed powder is used more on aquaculture as it`s easier soluble in the water, tea seed pellet is more used on golf court as it's well shaped with no dusts to keep the grass clean. These however are suggestions and the farmers could adopt tea seed meal or powder on agriculture and aquaculture for different crops and using purpose according to the actual situation. Tea seed meal without straw can be used in paddy field, vegetable field, flower field and golf court to kill apple snail, golden apple, Amazonian snail, earthworm and so one. And it won`t bring harm to the rice, vegetable, flower and grass. Tea seed meal without straw can kill the unusable fish, loach, tadpole, frog-spawn and other aquicolous insects. It also can accelerate the growth of aquatic-gross and fasten the exuviations of shrimp and crab, but never threaten them. Tea seed meal without straw can adjust the soil trace elements and promote the growth of plant roots. It can get rid of the pests, diseases, virus, and even enhance the resistibility to the pests and diseases. 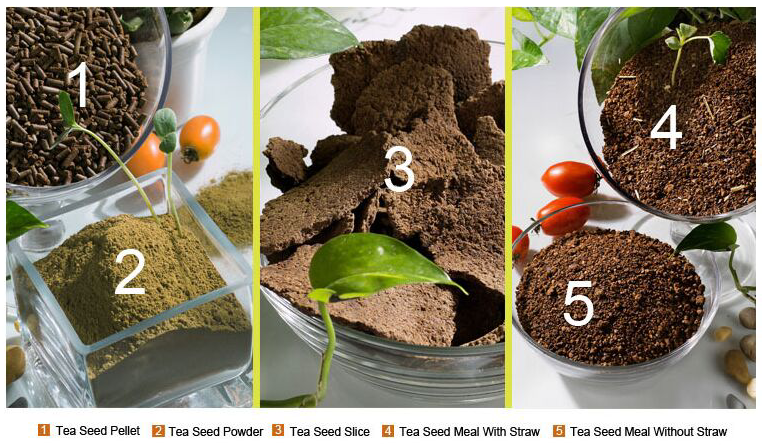 Tea seed meal without straw is rich in different kinds of nutrient substances, including protein, sugar, fiber and so on. So it can be used as feed raw material after detoxication. Tea seed meal is a kind of non-pollution and green organic additive, it can increase the production in fishery.